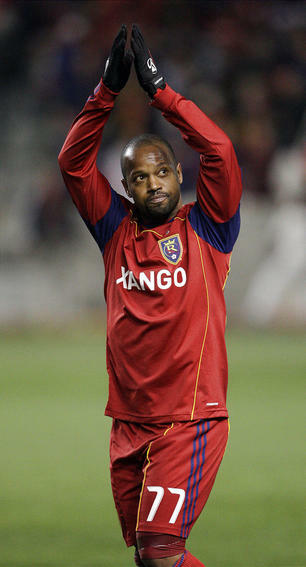 At the end of the 2011 MLS season, one of Major League Soccer’s veterans retired. 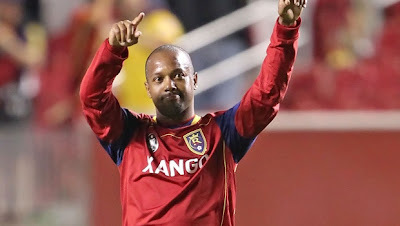 After 14 years in the league, Andy Williams chose to hang up his boots and pick up a clipboard as he joined the Real Salt Lake technical staff. After winning an MLS Cup, representing his national team and building a life in Utah, the Jamaican is able to look back on his career with pride. I caught up with Andy to find out just what he’s been up to in the offseason, how his retirement is working out and whether or not he’ll ever open up that Jamaican restaurant the fans so badly want him to. MLS Reserves: Thank you for taking the time to talk to me. Can you start of by talking about your decision to retire and how you came to it? MLS Reserves: What has the decision meant for your family? Particularly with all that has gone on with your wife and in the community? Williams and his family were dealt a difficult blow several years ago when his wife, Marcia Williams, was diagnosed with AML type 6 leukemia. While many would have paused their careers or even bowed down to the adversity, the Williams family fought through it together. Andy continued to play, with the full support of the Real Salt Lake community and his wife underwent treatment. Their bond was made even stronger and those around them bore witness to it. MLS Reserves: How have you spent your offseason? I’m told you underwent surgery, can you talk about that? MLS Reserves: Looking towards the future, what are your plans and how involved in RSL are you? “Another thing I’ll be doing is working with our academy down in Arizona. I’ll be heading down there next month to introduce myself to the coaches and basically be the in between guy for them and the team. MLS Reserves: Will you be working with youth development styles or specifically scouting players? Andy Williams: “A bit of both actually. I know what Jason wants in a player and I can show the coaches at the academy what we do up here with Real. That way if we do get kids who come up, it’s easier for them to adjust. MLS Reserves: Your name clearly resonates with the citizens and fans in Salt Lake City. What has that connection with the fans there meant to you? In 2005 Andy Williams was Real Salt Lake’s first pick in the Expansion Draft. Previously he’d played for five teams in his first six years with MLS. It was with Real Salt Lake that he truly found his home. MLS Reserves: Now for the tough questions Andy, what were your best moments in Salt Lake? Williams lets out a heavy sigh looking back and it’s easy to see he’d just as soon forget them. The times Andy is referring to are the opening seasons in 2005, 06 and 07 before Jason Kreis took over as head coach. In fact, Williams and Kreis were teammates during those years. MLS Reserves: Most importantly, when are you opening a Jamaican restaurant in Salt Lake City? Retirements are rarely a good thing, but in the case of Andy Williams, he can look back on his career with pride. Through soccer he has found his home in Utah, a community with which he is especially close and a future that will keep him with the game. Not all pro athletes are so lucky. With regards to Williams, it has little to do with luck. Rather, it’s his devotion to the game…and those around him, which have landed him where he is today. Thanks for all the great memories on the field, but we're even more glad to keep you as a friend and neighbor in our community. Andy Williams.....truly a class act.